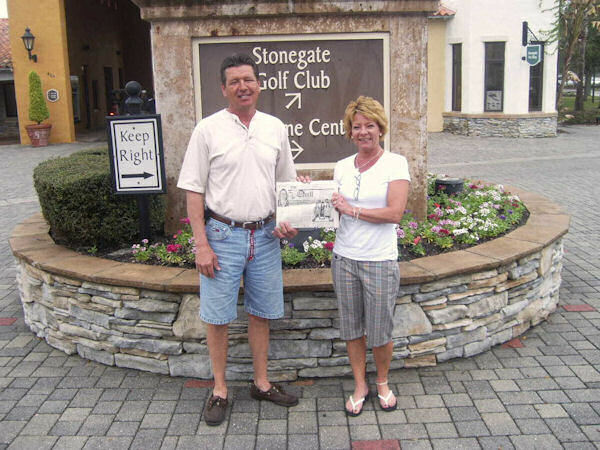 The Quill traveled with Don and Annette Gustison March 4th-13th, 2010 to the Alhambra at Poinciana, Florida where they stayed and golfed at the Solivita Stone Gate Country Club. The Quill also traveled to visit Jack and Marsha Gustison (of Wapello, IA) who winter at the Fransis Courts in Sebring, FL. They also golfed at several other golf courses. The Quill also went to see Annette's brother Wayde and Dimitra Dixon and their nephews, Bryan (6) and Wyatt (2), who live in Orlando, FL. It was a full 7 days of sunny high 70's weather perfect for golf, visits, and sightseeing.